Aerotech has released its HEX RC, a 6-axis motion controller which it says is ideal for controlling robotic systems like hexapods. Advantech has released two new gateways which it says enable “seamless protocol conversion” for internet of things data. The new gateways extend the company’s Protocol Gateway Series for protocol conversion. 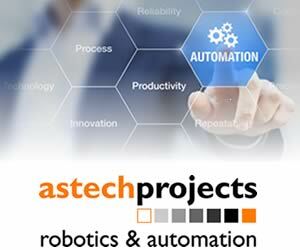 Robotiq has launched an online tool which enables the monitoring of Universal Robots machines. The web application is called Insights and the company says it can measure a Universal Robots machine’s performance. 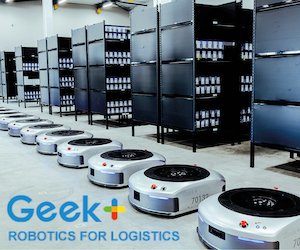 Global X Funds, the New York-based provider of exchange-traded funds, today celebrated the one-year anniversary of the launch of the Global X Robotics and Artificial Intelligence ETF (BOTZ). The company says Botz has received considerable interest from investors in its first year, having surpassed $450 million in assets under management. Neato Robotics, which mainly makes robotic vacuum cleaners for the home, has been acquired by Vorwerk. Terms of the transaction were not disclosed. Vorwerk first invested in Neato Robotics in 2010. With this acquisition, the German family-owned enterprise says it is enhancing its strategic position on the emerging global market for home robot vacuums. SAS Manufacturing has unveiled a new advanced machining facility for design, manufacturing and assembly of aerospace components in Arvada, Colorado, in the US. SAS Manufacturing expects to more than double the facility’s workforce of skilled machining technicians, managers and apprentices over the next 24 months. Industrial giant Hitachi is best known for making electronics gadgets and heavy machinery. Its annual turnover is just under $17 billion and it employs 335,000 people worldwide. But the 107-year-old company is apparently taking a leaf out of its industrial rival General Electric’s book and creating a new digital business.